Apply Now for the Joint Master of Social Work for the Fall 2019 cohort. 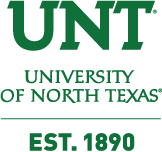 Are you, a spouse or parent currently employed at the University of North Texas? Are you, a spouse or parent currently employed at Texas Woman’s University? 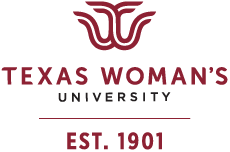 How did you hear about the TWU-UNT Joint Social Work Program? Please note, if you have previously been or are currently enrolled in another MSW Program, you must provide an additional letter of recommendation from the chair person or MSW Program Director. Applicants need to be aware that employment in most Social Work fields of practice and most employment agencies require criminal background checks. Past convictions do not necessarily preclude admissions to the JMSW program, however, they may impact availability of required field placements and future employability. It is also important to note that social work education prepares students for licensure and professional practice. The Texas State Board of Social Work Examiners application for licensure and other states’ applications require disclosure and evaluation of criminal background. Applicants have a responsibility to investigate how this information may apply to their circumstances. If you have been enrolled in another MSW Program, will you be seeking to transfer course credits if you are accepted to the JMSW Program? Transfer credits are limited in accordance with graduate school guidelines of up to 12 semester credits and are subject to JMSW approval. Please note that credit acceptance is not guaranteed. Once admitted to the program, students will formally submit course syllabi and be notified in writing of the outcome. Allowed file types: txt pdf doc docx ppt pptx xls xlsx gz rar tar zip. The personal statement is the heart of your application. Essay questions will be assessed based on content, grammar and writing skills. Note the word limits on each question. Please address A-F. The ability to write at the level of a professional with appropriate grammar, spelling, and structure. Please provide the name, institution. email address, phone number and relationship to applicant of your first recommender. Please provide the name, institution. email address, phone number and relationship to applicant of your second recommender. Please provide the name, institution. email address, phone number and relationship to applicant of your third recommender. Please send the following link to each of your three referrers. This is will allow us to capture information we need from your referrers. Thank you! By clicking "Yes", I affirm that the information provided in this application for admission to the Joint MSW program, and in any attachments hereto, are true and complete. I understand that the Joint MSW program will use the information I have provided in reaching an admissions decision. I further understand that if I am admitted and the information provided is found to be false, incomplete, or incomplete by another, I may be dismissed from the Joint MSW program. By checking "Yes" here, I am submitting this application to the joint program, and in accordance with the Family Educational Rights and Privacy Act (FERPA), I authorize information regarding my educational records and progress to be shared between TWU and UNT. My signature, below, acknowledges my consent for the sharing of this information between faculty and other university personnel with a legitimate educational interest. Copyright © 2019 TWU-UNT Joint M.S.W. Program. All rights reserved. Created by the UNT Division of University Relations, Communications and Marketing.